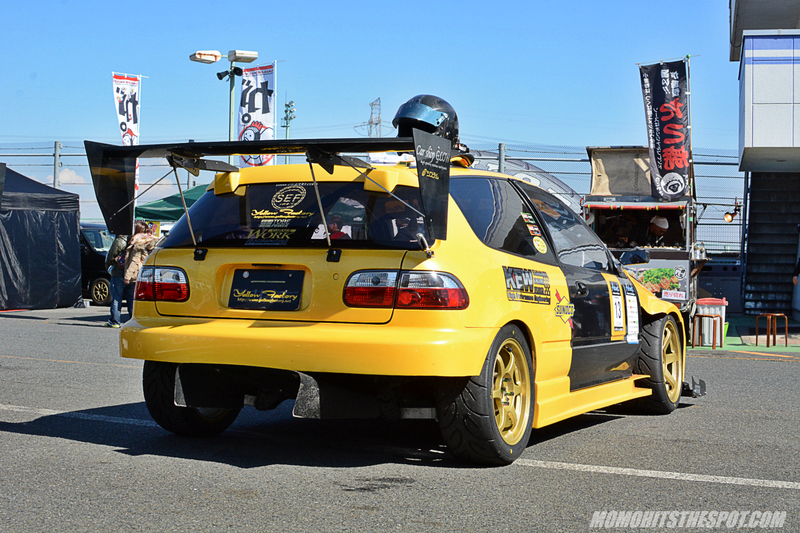 Seeing Yellow: The Yellow Factory EG6 @ Tsukuba Attack! – MoMoHitsTheSpot! 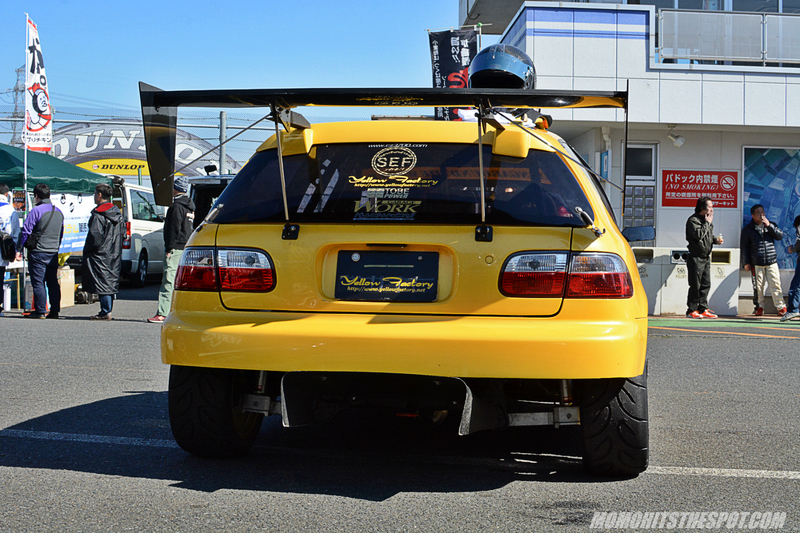 Seeing Yellow: The Yellow Factory EG6 @ Tsukuba Attack! 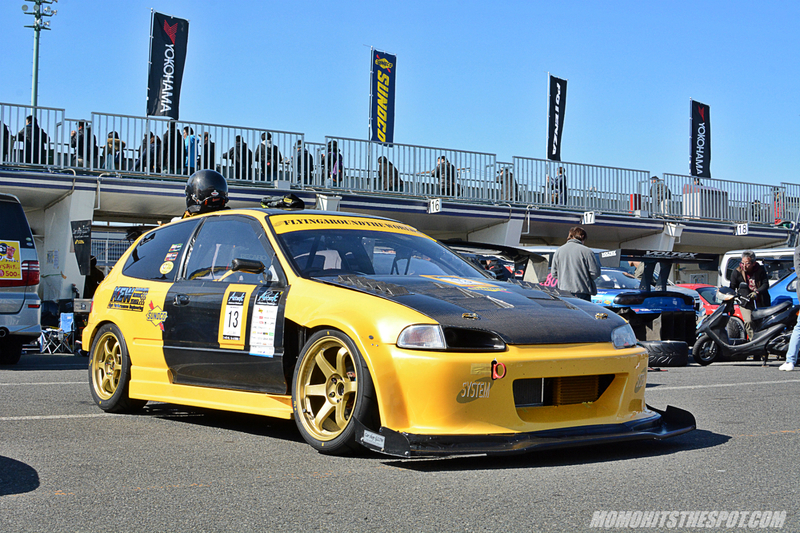 The Yellow Factory EG6 is one of the most impressive N/A FF machines to attack the Japanese circuits. Packing an access of 250HPs and a gorgeous, albeit functional aero package, it’s hard not to fall in love with it. 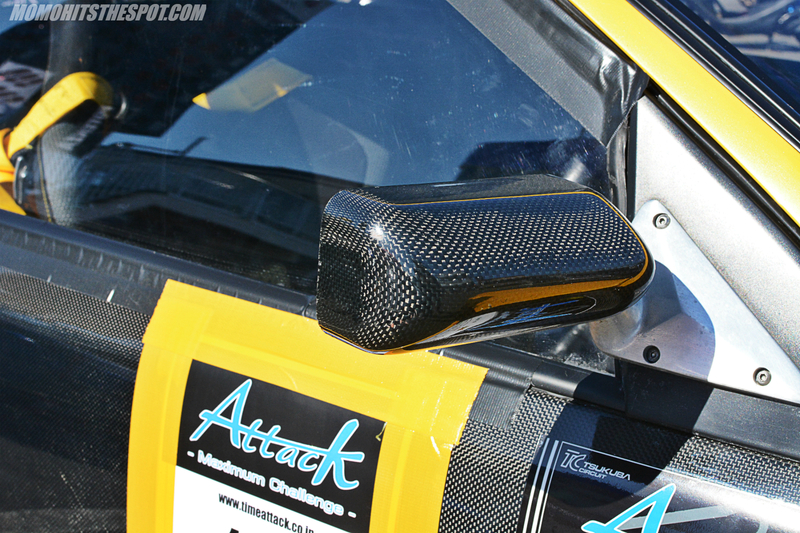 I’ve never been a huge fan of exposed carbon fiber doors or hoods, but this EG rocks them quite nicely. And that Garage Work front bumper is a definite must for any time attack EG. 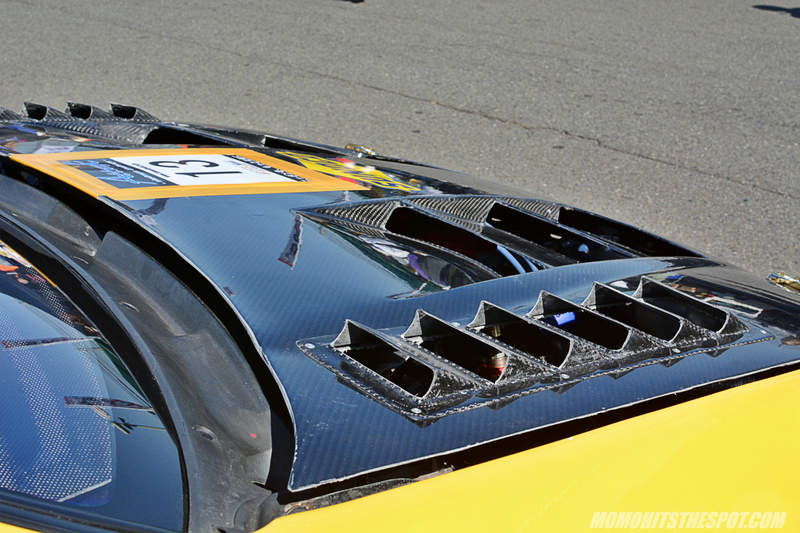 Of course weight savings is a must on all time attack vehicles, this includes mirrors and hoods. 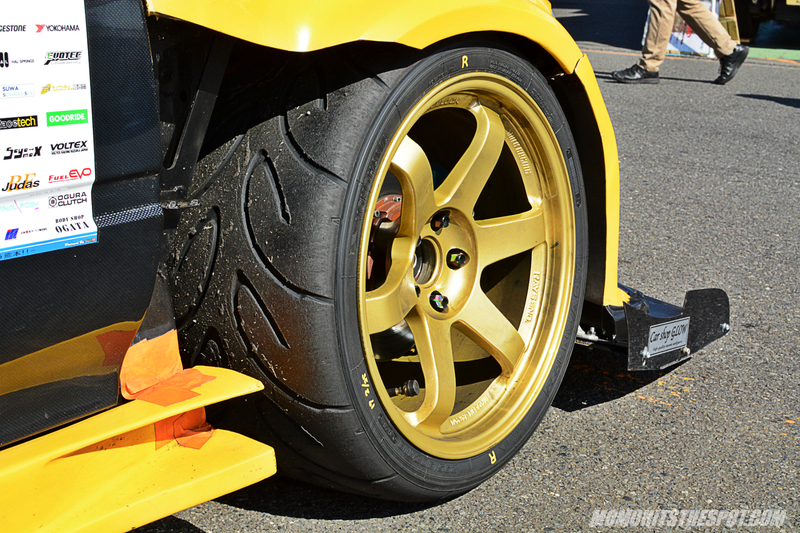 TEs x Advan A050 makes for legit footwork. The aerodynamics package flows all the way towards the rear end to complete a stunning FF machine.